Uniqueness of this attraction The Millennium Monument is located on a 25 hectare park in Precinct 2 on the waterfront centre of Putrajaya. The park is located directly opposite the National Registration Department. The Millennium Monument is 68m high column and was opened to the public in August 2005. From a distance, it looks like a giant pencil standing on an oil rig but it is designed to be in the shape of a hibiscus flower when viewed from above. A multilevel platform wraps itself around the base of the column. You can walk up this platform but you cannot go inside the obelisk. As you walk up this ramps, you will pass by a series of engraved glass panels. Each panels related to a year of history and there is information on the key event which occurred that year together with an illustration. Under the monument, Malaysian former Prime Minister Tun Dr. Mahathir had buried a time capsule containing important messages dated some time ago, and it will be revealed in year 2020. Other things to do here? Next to the Millennium Monument is the Putrajaya Skyrides. It is the latest attraction in Putrajaya. You get to ride in the 13m gondola and go up to the sky at about 500 feet of height. 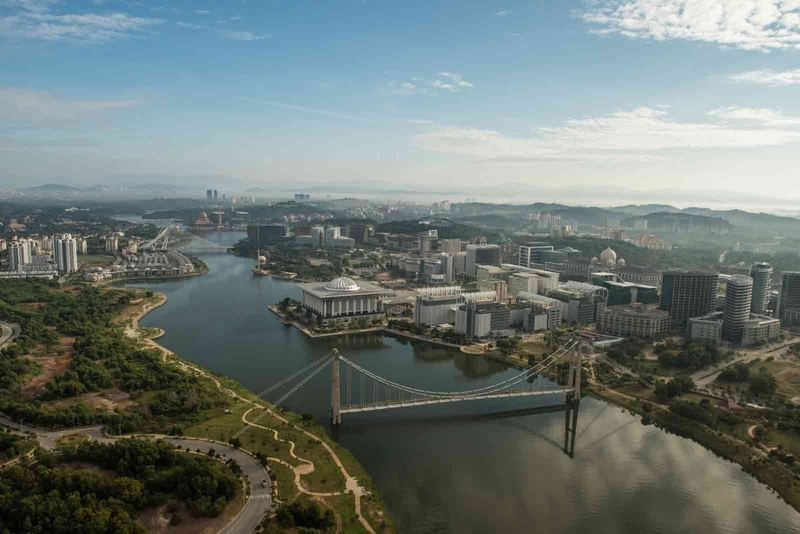 You’ll get to enjoy a 360-degree spectacular view of Putrajaya. Getting around Take the Putrajaya Passenger Cruise Boat which will stop by this place as it makes its tour around Putrajaya Lake. The departure venue is at Putra Jetty near Dataran Putra. Most suitable for those who are seeking for history knowledge on how Malaysia before independence. It is a good place to bring your family and kids for a walk, either during the day or even at night. There are small restaurants located there in case you get hungry or just want to stop by for a drink. A landmark built to remember Malaysia’s milestones - it keeps time capsules in its base with messages from former Prime Minister, Tun Dr. Mahathir. There are no reviews on Millennium Monument Putrajaya. If you’ve been here before, write a review to share your experience.